For over forty years I have been involved in marriage and family counseling. All of my published works and seminars have grown out of fighting in the trenches with couples who wanted to save their marriages. Thus, I have sought to write and speak not in psychological jargon, but in the language of the common man. A few years ago, when I became aware of the traumatic stresses to military marriages, I have had an intense desire to help military couples ever since. In spite of an already full schedule of marriage seminars, I found it crucial to make time to speak with military couples. Ultimately, finding open arms among the chaplains, I engaged myself by leading marriage seminars at Fort Bragg, and lectured psychology students at West Point. In addition I have also led seminars at a number of Air Force bases including: Holloman, Little Rock, Eielson, and the NATO forces stationed at Geilenkirchen, Germany. 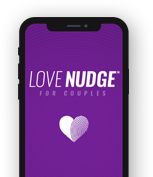 I am excited about the opportunity of teaming with chaplains and sharing the tools which have helped so many couples find a growing marriage. Military chaplains and personnel responsible for counseling are eligible for special discounts. You may receive 50% off* the retail price for any case quantity order. You will also be required to fax or mail additional information. *A valid military tax exempt certificate is required.